Welcome to Terra Linda High School's Class of 1972 Official Website! 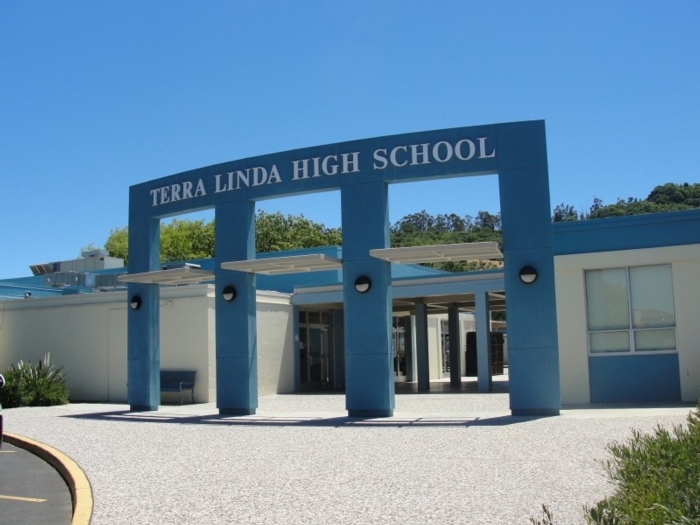 This website is dedicated to our classmates for the purpose of promoting, celebrating and reconnecting with all members of Terra Linda High School Class of '72. Here you will find the most complete database of everything from our class, created and managed by your reunion committee, free of charge to you. You will find up-to-date reunion information, plenty of memories and a great way for you to see what's become of everyone. This is our permanent Class of '72 website for the next 5 years, so come back often and update your information as it changes. To access all pages, please login. Click on the "Classmates Profile" link on the top menu bar scroll down and find your name, click on it and follow the prompts to fill out your profile. If your name is not listed, use the “Contact Us” link to notify us, so that we can add you to the list. Please supply your home address, email address* and phone number, and if possible, upload a recent photo. Your yearbook photo is already loaded, if your picture was printed in the yearbook. If you do not want your senior portrait posted, you can "Contact Us" to have it removed. If you are a visitor, such as school faculty, family, friends or Terra Linda High Alumni and you would like to see more of our site, just send an e-mail through the "Contact Us" link at the top of this page, requesting the password with your name and e-mail address and we will get back to you.